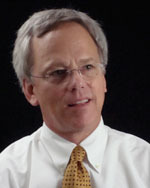 John Winn Miller joined Newspapers of New England as publisher of the Concord Monitor in September 2010. Miller started his career as a magazine reporter in Louisville, Ky., and then joined the Associated Press, which he worked for in Louisville, New York and Rome. He briefly served as Rome bureau chief of the Wall Street Journal/Europe before returning to his hometown to work for the Lexington Herald-Leader. He was part of a team of reporters whose prize-winning series on education in Kentucky help lead to major reform. Miller then served as editor at the Centre Daily Times in State College, Pa., and The Tallahassee Democrat and publisher of The Olympian in Olympia, Wa.